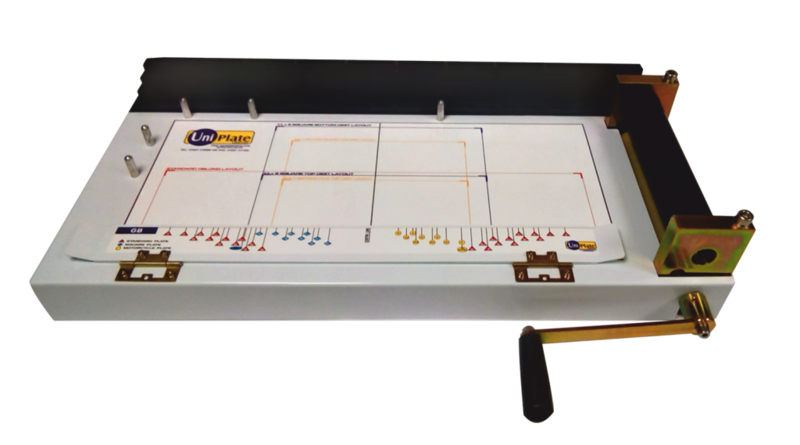 The Uniplate make up kit is the ideal system to hand make your plates. The kit is pre marked with guide lines and rulers ready for making and laminating multiple sized plates. Make-up kits can be provided for clients who wish to hand make their own number plates. The make-up kits are used in conjunction with digits for cars and motorcycles. 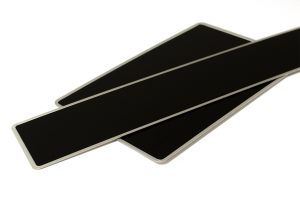 A manual pressing jig is used for aluminium reflective and black and silver oblong/square number plates. 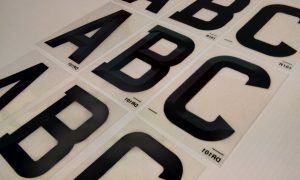 Standard and motorcycle sized digits used in conjunction with the Uniplate make up kit. 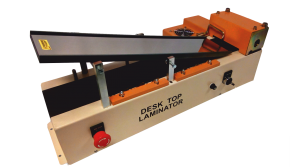 Manual or motorised, for the fast and accurate lamination of plate to reflective, standard and lipped reflective only. Manual pressing jig used in conjunction with standard and square aluminium plates.